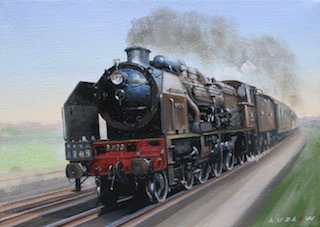 A classic “Chapelon Nord”, a class that was based on early Pacifics of the Paris-Orléans Railway (PO), speeds by, resplendent in the Nord Railway “chocolate” livery. 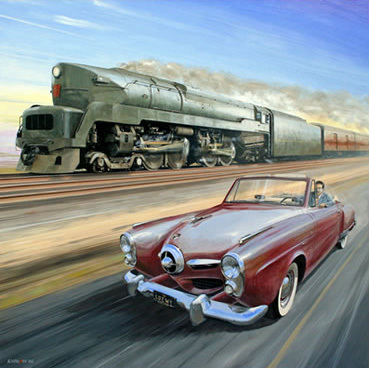 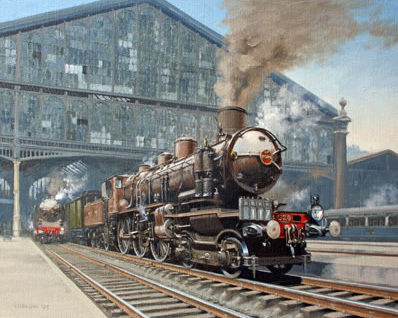 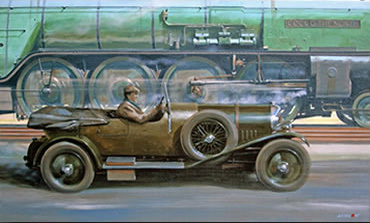 These locomotives were the result of the spectacular rebuilding of the PO originals by André Chapelon. 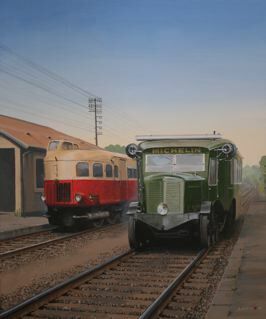 The Nord ordered a number of rebuilds, and then ordered a further series, identical but newly built, from private builders.